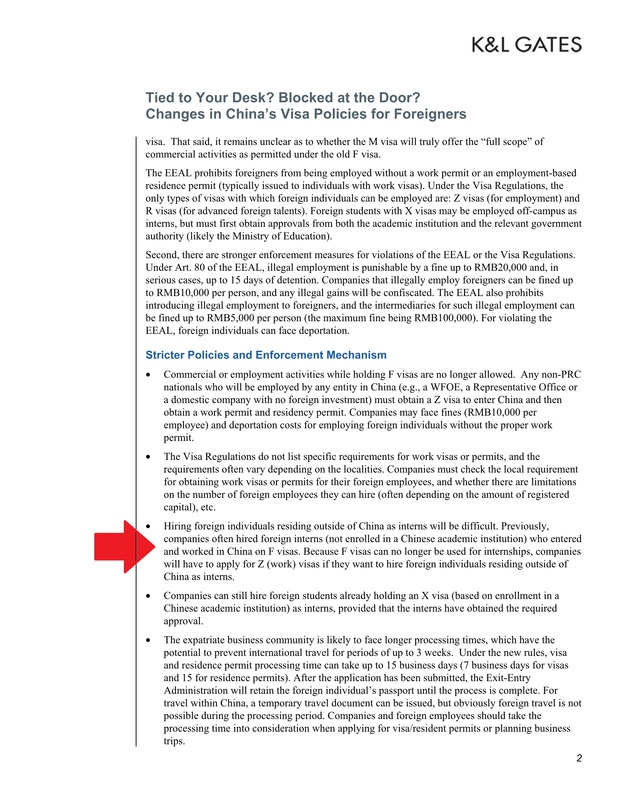 As a Public Service Announcement, we are releasing the below information to confirm to all TEFL teachers inbound to China, that the Chinese government is dead serious about enforcing their fairly new “FALSE DOCUMENTS LAW”. This new law was originally design and intended to stop, or at least reduce the quantity of counterfeit goods (mostly designer luxury consumer items like handbags, sunglasses, shoes, etc) being shipped abroad by attaching huge penalties and prison sentences to those using fake manifests, shipping documents, and use of government seals. 1.) INCREASED PSB VISA SQUAD BUDGET INCREASED BY 12% TO HIRE 360 MORE INSPECTORS TO CONDUCT RANDOM VISA & DOCUMENT CHECKS AT SCHOOLS. 3.) COMPLETE DOCUMENT CHECK DURING RANDOM SCHOOL VISITS. AS WE RECENTLY DISCOVERED THEY ARE NOW CHECKING NOT ONLY VISAS, BUT IF DIPLOMAS, POLICE CERTIFICATES, AND TEFL CERTIFICATES FOR VALIDITY. IF ANY ONE DOCUMENT TURNS OUT TO BE COUNTERFEIT, THE TEACHER WILL BE ARRESTED AND DEPORTED AS THOSE ARRESTED BELOW CAN VERIFY. 4.) STARTING IN SEPTEMBER, 20!7 ALL SCHOOLS WILL BE REQUIRED TO PUBLISH AND POST A DOCUMENT ON THE WALL OF THE SCHOOL STATING THE LEGAL NAME OF THEIR TEACHERS, THEIR CITIZENSHIP, PASSPORT NO. DEGREE HELD AND FROM WHICH UNIVERSITY. A PARENT WILL HAVE THE RIGHT TO INSPECT A SCAN OF THAT STUDENT’S PASSPORT, DIPLOMA, & POLICE CERTIFICATE UPON REQUEST, ALTHOUGH NO COPIES WILL BE FURNISHED. 5.) A JOINT TASK FORCE WITH SAFEA, PSB, AND LOCAL POLICE ARE NOW FORMING TO BEGIN A “TEACHER CREDENTIAL REVIEW” OF ALL FOREIGN TEACHERS ADMITTED TO CHINA BEFORE JANUARY 1ST, 2016 AS A “QUALITY CONTROL MEASURE”. THIS WILL ALSO ENTAIL VERIFICATION OF ALL DIPLOMAS AND TEFL CERTIFICATES PRESENTED BY THE TEACHERS. At the local level, we are told that the Beijing and Shanghai Police Departments will start airing PSA radio and television announcements promoting their “Peoples Patriot Reward Program” to confidentially report any foreigner working illegally in China or suspected to be a spy. 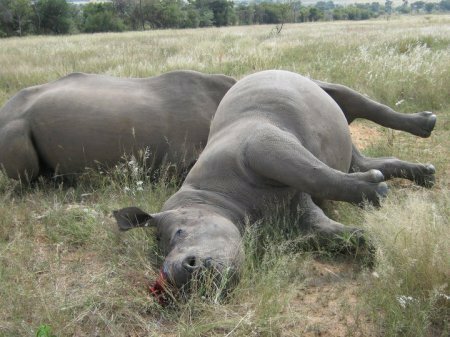 The reward has been increased to 15,000 last January from 10,000 rmb. CHINA REWARDS PROGRAM Here are those teachers that were arrested during the month of April. 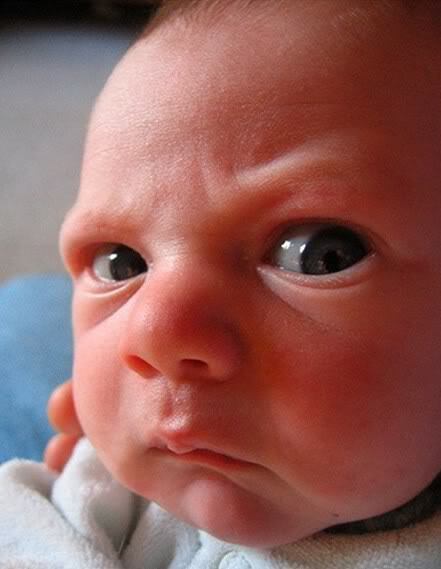 The Privacy Act forbids us from publishing the complete names and we do not want to have our website blocked in China. 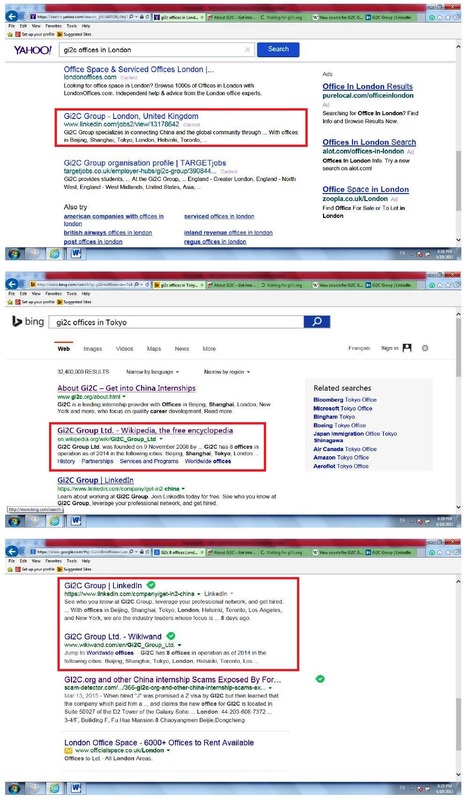 Please let us know of any recruiter and or school that is now cooperating with any of the above entities as we are filing a formal complaint with China’s Ministries of Education and Justice as these companies managed to get over 2,000 foreign teachers arrested and deported with their lies and other deceptions. Thank you for your help. After some deliberation we have decided to warn all the foreigners now teaching in China that if you sent email to eslinsider.com or even visited their web site more than once over the last 6 months, you will soon be investigated by the Chinese PSB as we recently found out in an unexpected interview we obtained with a veteran Captain who has worked more than 8 years with the PSB in a Tier 1 city of China. They are now hip to the bad advice ESLinsider has been giving wannabe teachers to use fake documents (diplomas and TEFL certificates) after recently arresting a teacher from America who spilled her guts to avoid a felony conviction and deportation four months before her wedding to her Chinese boyfriend. They are also looking to arrest another expat named “Magnuson” who the Captain promises will spend at least 2-3 year behind bars for forgery and “disrespecting the people of China” (not sure if that is a real crime or not). But to put it mildly, the government is a bit pissed to learn that one-third of the foreign teachers now working in China are not “teachers” at all and have used fake documents to obtain their visas. Now they are on a mission. If you or anyone you care about is now working in China with a fake diploma, TEFL certificate or do not have a Z visa, warn them that the crackdown will be starting on March 1st, 2016 and they may want to depart China voluntarily until they get themselves legal or find another legal way to remain in China. But our PSB contact says they have been given a 500 member task force and have a mandate “from the top” to investigate 50% of all foreign teachers now working in China, and everyone who had contact with ESLinsider. This whole mess began when the wife of a Vice-Mayor leaned that her son’s foreign tutor could not remember what city his university was located in and when she had a lawyer inquire with the registrar’s office of Arizona State University was told that the tutor never attended their uni. The young man was arrested and when police visited his apartment, also met his girlfriend who tried to run away. Upon checking his phone and email records they learned about ESLInsider and things began to snowball. The mother shared the incident on her wei xin and over 2,000 mothers complained to the Ministry of Education. Now the witch hunt has begun. BTW… There are many online universities that may be legal abroad, but not in China. 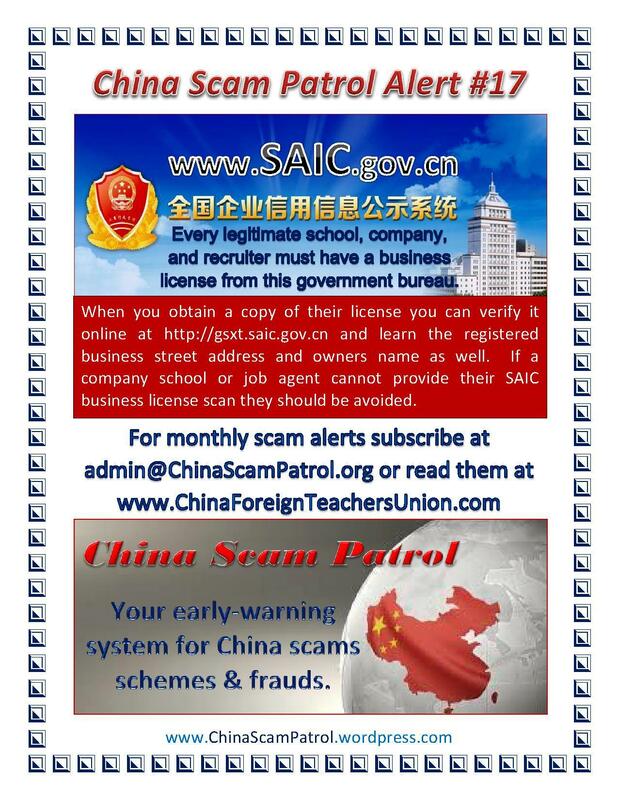 So check to see if your university is listed here >>> http://www.chinaforeignteachersunion.com/2014/09/warning-safea-psb-and-ministry-of.html. And as always, if you are caught working on an L, F, M, or X visa, you will also be arrested. 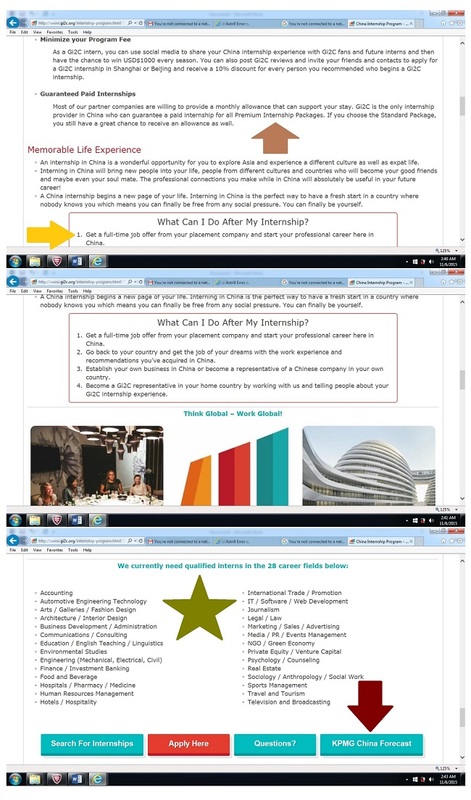 Even if you only tutor part-time in China you MUST have a Z Visa. If arrested you can expect to be jailed for 30 days, forced to pay a $2,000 fine and then be deported with a felony conviction if you refuse to hand-write a “letter of apology to the people of China” (not kidding). If you are too proud to write the letter, you go home as a convicted felon. Do not underestimate the PSB nor Chinese “friends” who could use a quick 10,000 or feel they are doing their patriotic duty to have you investigated. Of course, if you are legal, you have nothing to worry about. All others… you have been warned. The below report is a follow-up to our preliminary report dated April/2015. Be advised that we have been retained by a former Gi2C employee and a former client to investigate this company from A-Z They have not authorized us to make full disclosure as they are contemplating a legal action at this time. However the information provided herein is solid and well-documented enough for us to issue a Red Flag Scam Alert which will be issued to 600+ student unions and limited distribution to selected ESL and Work Abroad message boards. 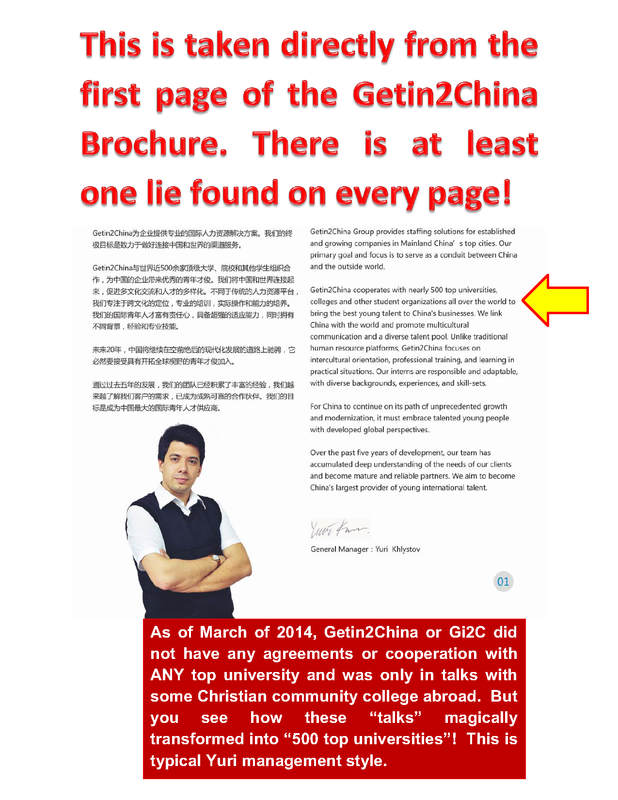 Prospects were falsely told that Gi2C operates 8 world-wide offices when in reality they only have two. 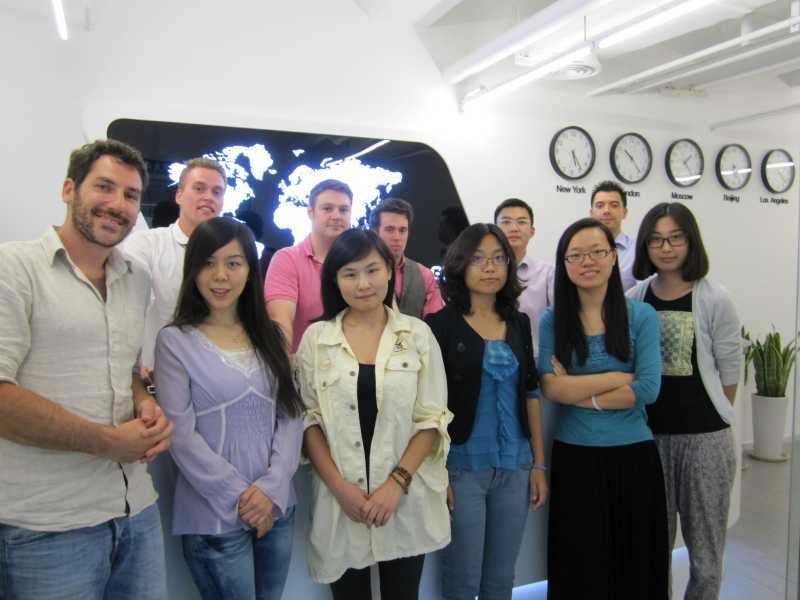 Below are the ten top rated China Internships. We contacted all ten of these companies and spoke with an HR staffer to see how many interns were placed with them through Gi2C and if they were satisfied with the interns. Without exception, all ten companies indicated that they never heard of Gi2C and never had any business relationship with them. Considering all else they have lied about, we were not surprised. 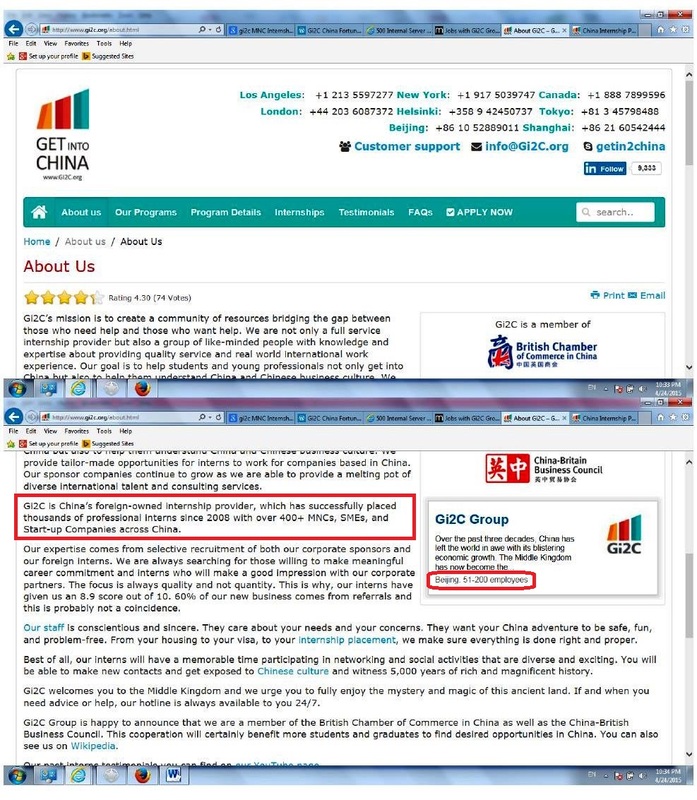 Although Gi2C conducts all of its business on mainland China, customers are told to send their money to an HSBC bank account in Hong Kong where Gi2c does not have an office nor any corporate sponsors. This may be a way to evade taxes and/or asset seizures in the event of legal proceedings and a court ordered judgment for monetary damages is obtained. A handful of former employees also confirmed that they were not paid all of their wages when they resigned and one married Chinese employee took the company before the Beijing Labor Board and prevailed in her claim in 2014. 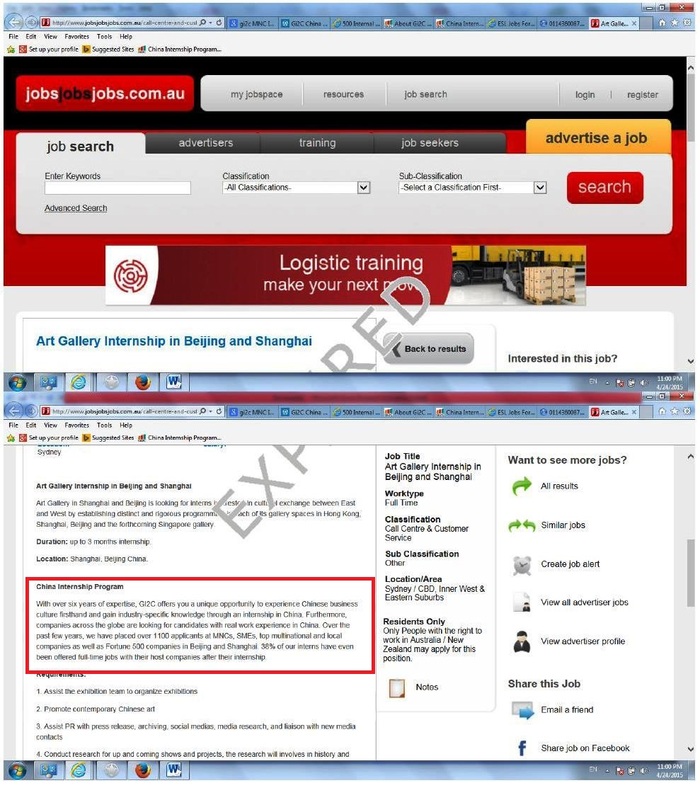 Other employees reported that they were instructed to forge invitation letters using photoshop software and fabricate “over 100 fake internship vacancies for the website”. One former manager said he was told to bribe newspaper reports in Beijing to obtain a favorable article in the local news. Said manager also confirmed that interns were bribed to give testimonials with discounts, gifts, and cash, and also confirmed that the owner himself would delete negative comments from their Facebook and blog page on a daily basis. 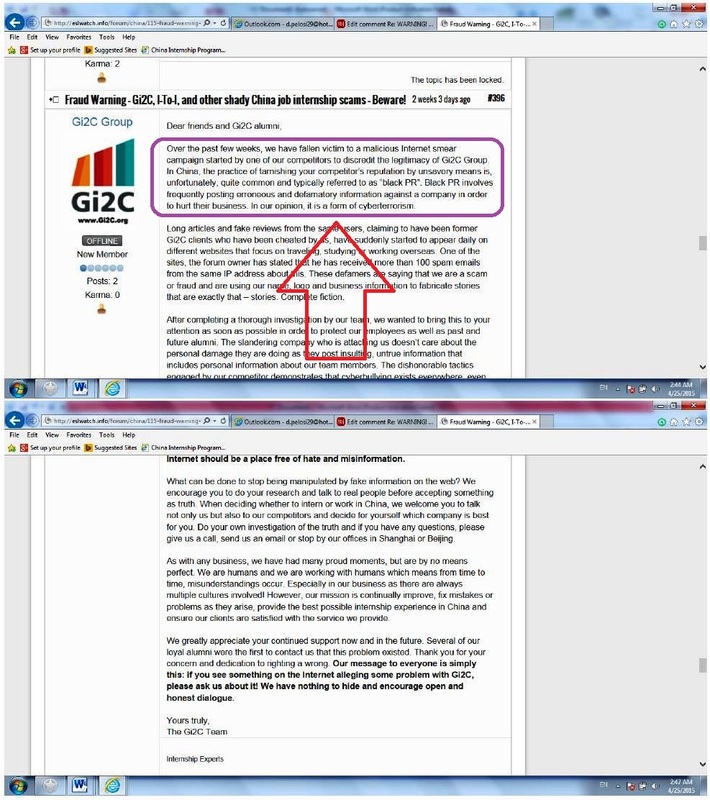 Others also confirm that two shills were used by Gi2C in the past as references, and that most of the reviews seen on line are bought and paid for with only one exception. 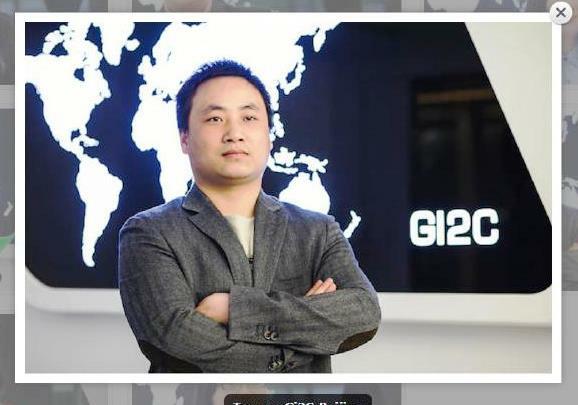 They also confirm that one Chinese employee known only as Tommy (pictured below) was arrested in the Galaxy Soho office less that two weeks after it opened by 5 members of China’s Public Security Bureau for “Visa Fraud”. 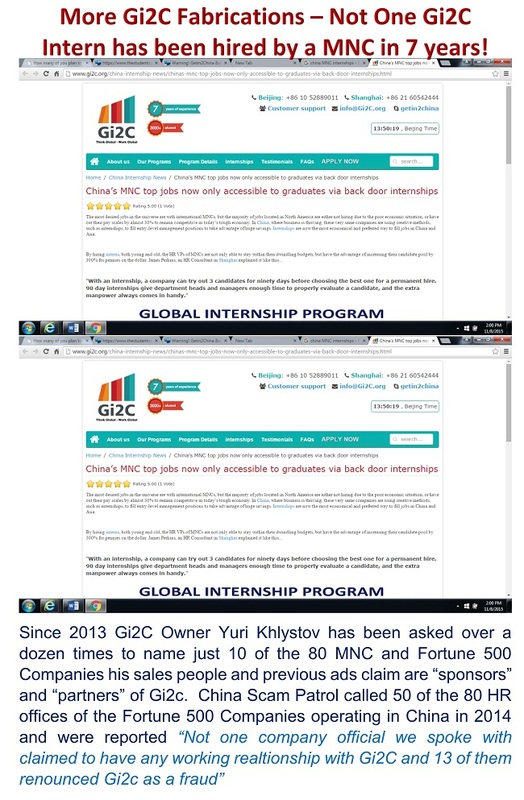 We also noted that Gi2c had claimed they had “partnerships” with “500 top universities”. But we can find no supporting evidence of this claim, and when users at thebeijinger .com asked their management to name some of those universities, there was three weeks of silence. 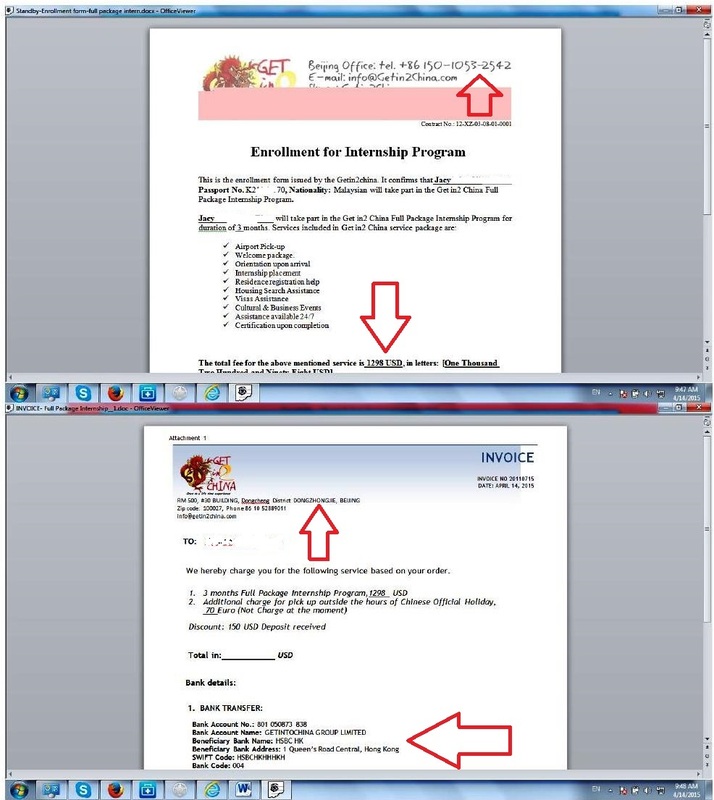 Other at ESLwatch.info asked Gi2c management to explain this below photo posted on their web site implying they had some business relationship with this famous university. Again there was no response. 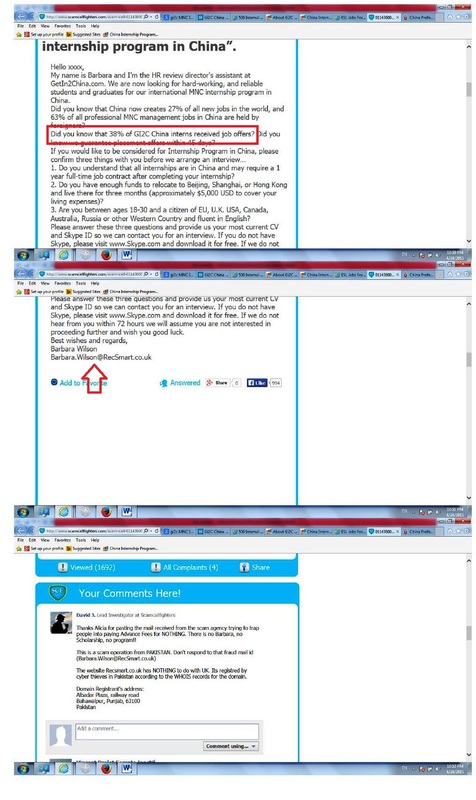 On or about March 17th,2015 the Gi2c management posted a letter at several websites claiming that their bad reputation online and all the complaints about them were due to “one of our competitors”. But more than a month later they are now blaming a disgruntled employee named “Bruce” that reigned more than a year ago along with the company’s former web designer/webmaster Steve B****. We suspect their first explanation was not working with their new prospects. To be fair however, the only law Gi2C may be breaking is tax evasion, since there is no Chinese law that says free internships cannot be sold for money. 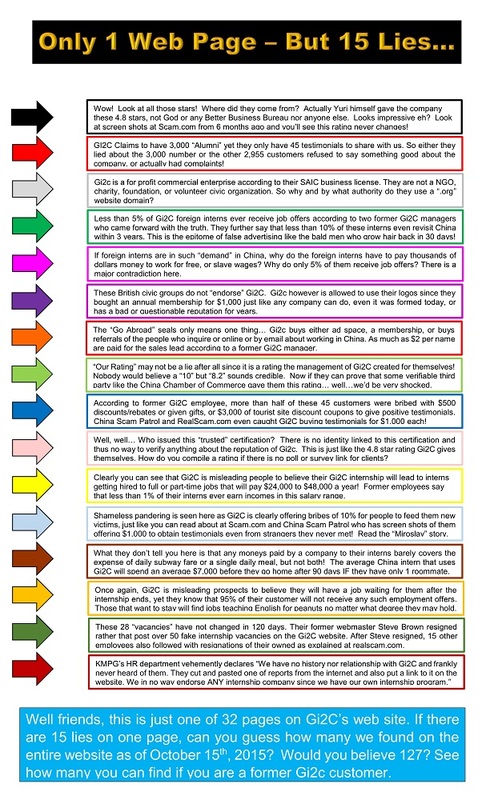 Therefore, we are not in a position to label Gi2C as a scam, but it certainly has unethical sales practices and policies. In any western country, Gi2C would probably be prosecuted for fraud, but China is just now developing the concept of “Consumer Protection” in the professional services business markets. This is all we can disclose at this time due to the restrictions placed upon us by our two clients. We may be able to update this report at a later date, if our clients so authorize. 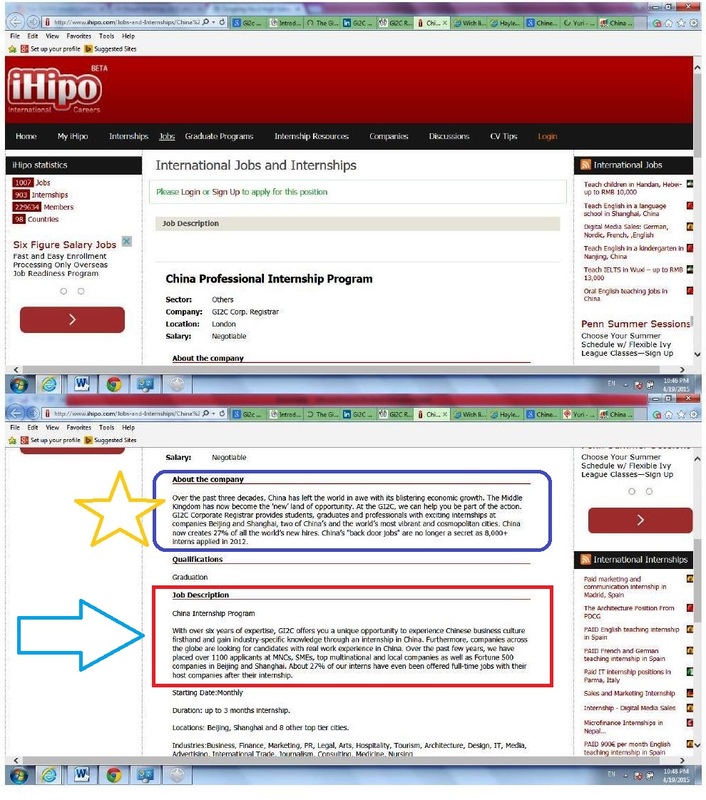 If you are interested in obtaining a China Internship for free, you may want to visit http://chinainternshipreviews.wordpress.com. As always we urge you to conduct your own due diligence before making any final decisions related to Gi2C or any other company doing business in China. 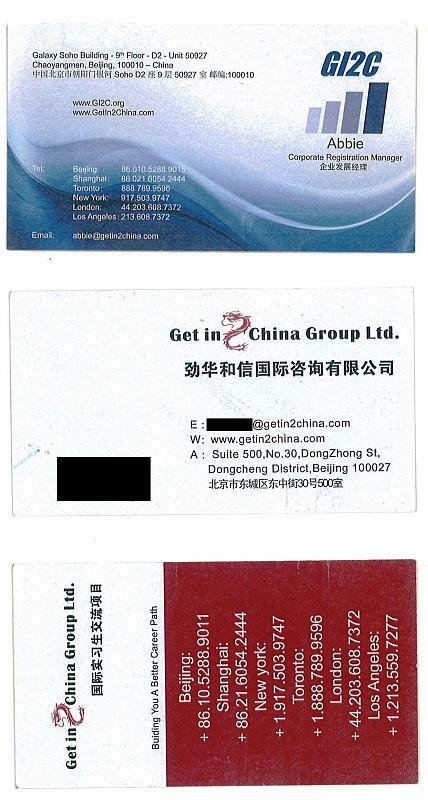 We were also to interview 3 former employees of Gi2c and all three claim they were cheated at least once on their wages and another former employee named “Tracy” confirmed that she filed a formal complaint against Gi2C with the Beijing Labor Board and won her case. All but four people in this photograph resigned after senior employee “Tommy” was arrested in a PSB raid on the office. The foreigners seen here were the first out the door. For the sake of their privacy we will not publish their names here. 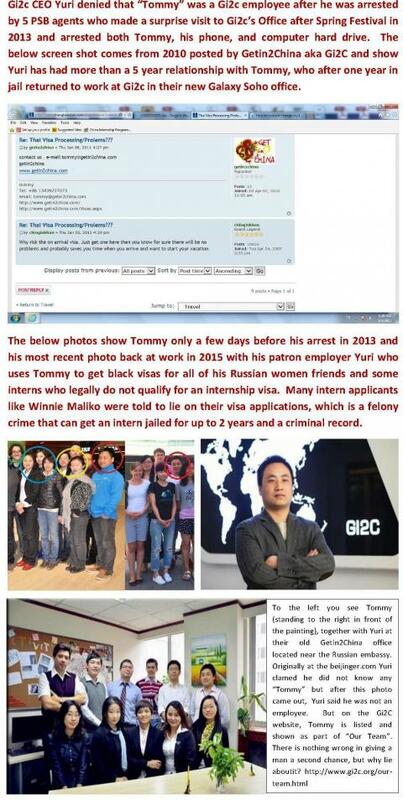 In this last photo above, the girl circled in yellow is Abbie who was cheated 6,000 on her last paycheck, and the fellow in Red is the famous “Tommy” who was arrested for visa fraud a few days after this photo was taken. 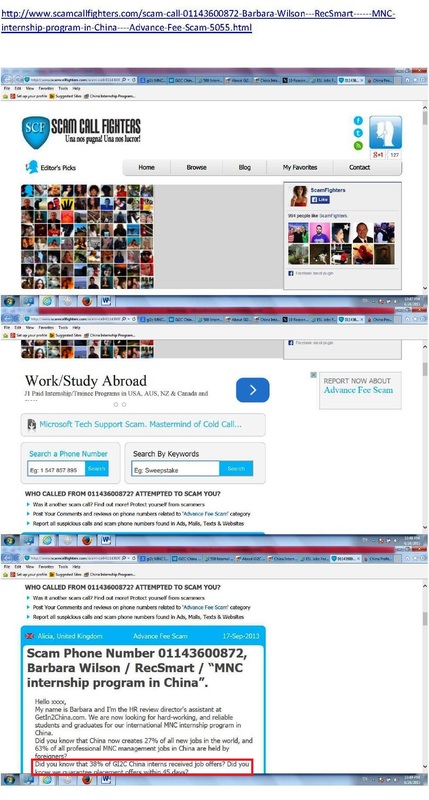 These former employees also confirmed the claims made by victim Winnie Maliko and others that Gi2c customers were instructed and coached to commit felony crimes, to wit – to lie on their visa applications and “never mention that you are coming to China to work as an intern” http://www.scam.com/showthread.php?654895-China-Foreign-Internships-Scams-Make-You-A-Felon! 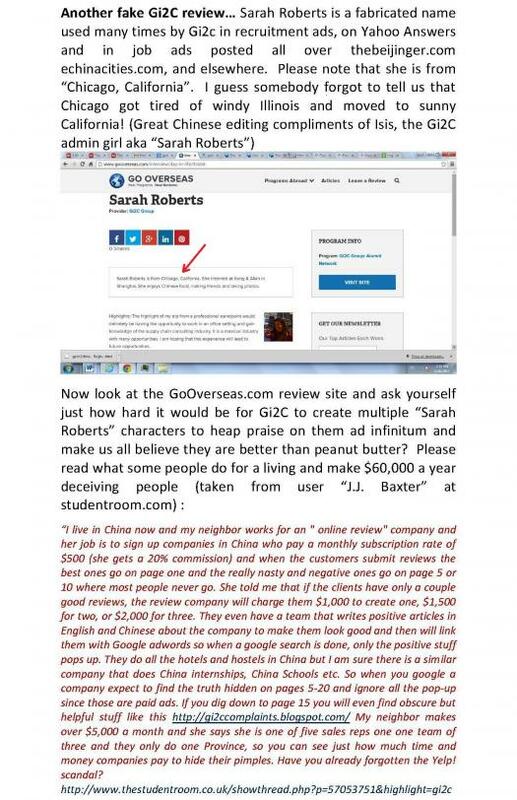 We have also learned that Gi2C has discontinued using the boiler room in Pakistan recently and we hereby confirm that “Haley Gilbert”, Barbara Wilson”, and “Dwight Stevens” were all Pakistani sales reps working on behalf of Gi2C from 2013 to late 2014 and all falsely claiming to be calling from “Gi2c’s London Office”. The above three names were all fabricated. 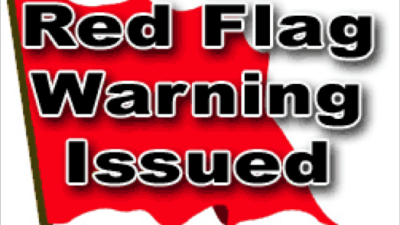 We have closed our investigation on Gi2c.org aka Getin2China with Red Flag Warning to all concerned. 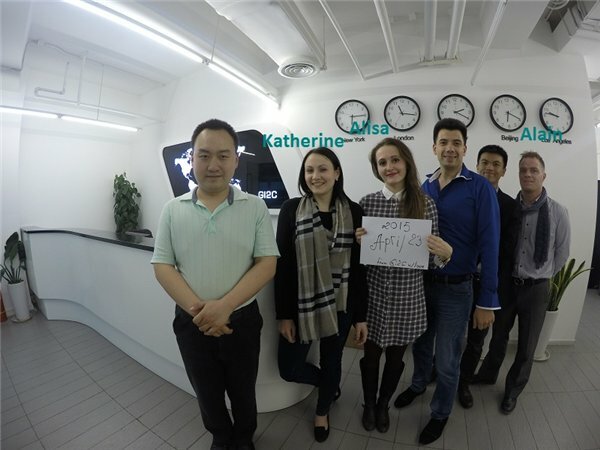 Just remember, Gi2C sales people will only tell you what they want you to know – especially about visas and the true total cost of your stay in China, which for 90 days will average about $7,000 by the time you leave. If you get arrested for the wrong visa you can add $5,000 more to this cost to cover a $2,000 fine and $3,000 lawyer fee. One of the most sneaky, sophisticated, and costly scams originating from China these days is what Is called “Latent Identity Theft”. 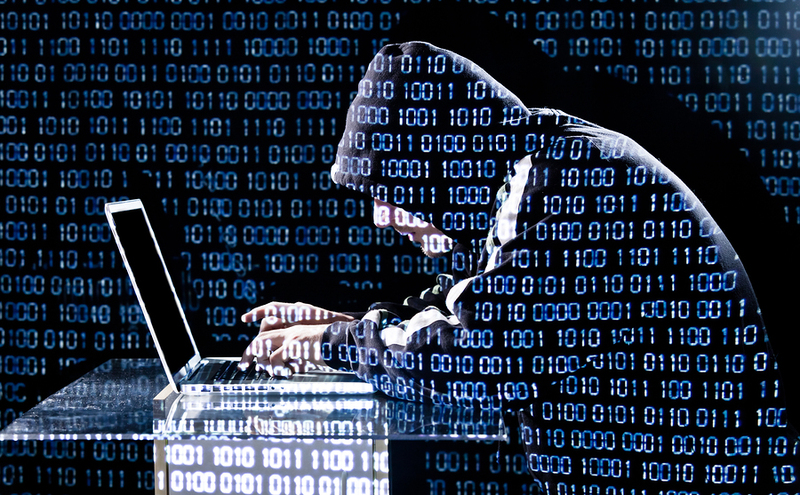 It means personal information you provide today will be used months later to steal your identity and bank account. 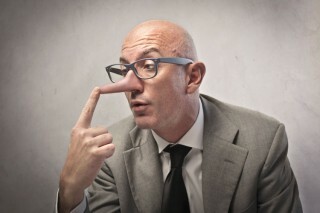 The reason for the prolonged fraud is to distance the perpetrator from your memory. So by giving your passport information to a dishonest visa agent today, you would never suspect him or her six months from now when the police want to arrest you for credit card, check fraud, or immigration fraud. This is especially true if the visa agent was friendly and gave you a good deal and service. 1.) Illegal and black market job placements without Z visa sponsorship that transforms law abiding expats into illegal aliens liable for arrest, imprisonment, and deportation. 2.) 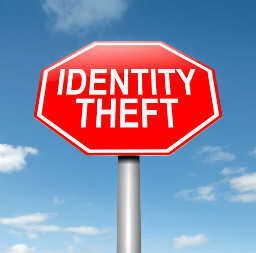 Latent Identity Theft where a Chinese visa or travel agent provides you a satisfactory service today but weeks from now sells your personal identification files to identity theft rings for $1,000 causing you legal grief and fees that may not surface for up to six months. Since all three of these three scams originate with the same group of perpetrators (unlicensed people using disposable contact information) we are sharing the following red flags with you so you can spot and avoid the danger in advance. 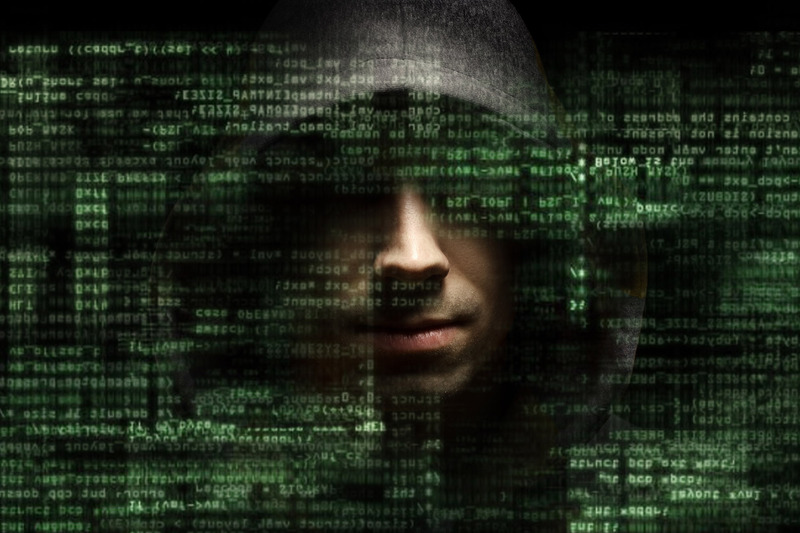 So if you run into travel, visa, or job agents that fall into any five or more of these categories, you are most likely dealing with a fraudster. We just completed a three month investigation of China’s largest expat portal that gets over 50,000 hits a week after a rash of “coincidences” of identity theft victims in China made us smell something foul. 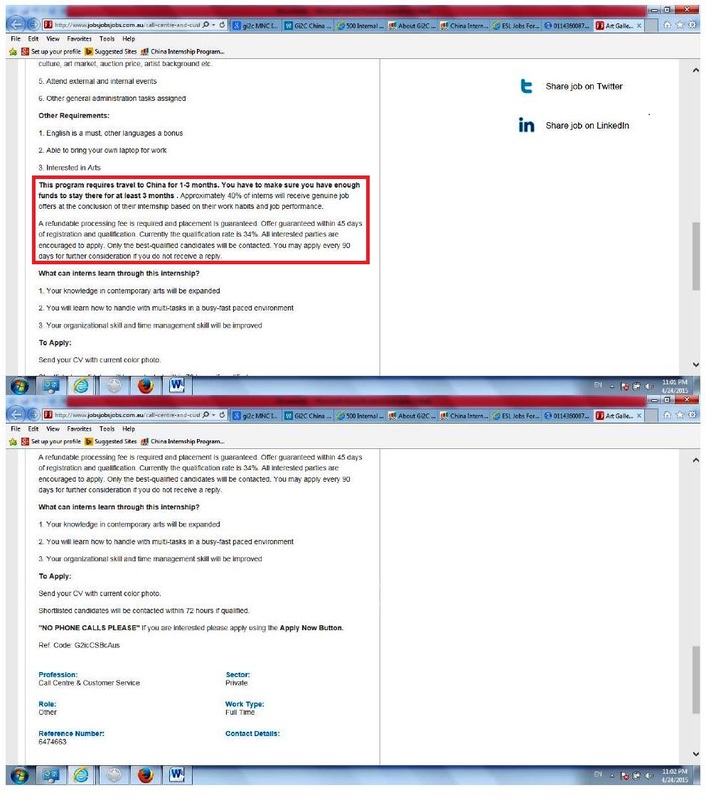 We had opened some fake accounts and applied for a variety of jobs at ECC only to discover that many of the ads we were applying for were simply fabricated. We will not divulge all our methods publicly but lets just say that when our investigator applied for job “A” she was never called for that specific job but was overwhelmed with spam emails and calls for a variety of other positions she never even applied for! However, if she did not cooperate with the callers who asked for passport scans without first identifying their company name and office location, she discovered that her resume at ECC was blocked from view. 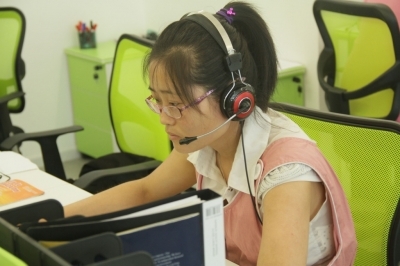 But new callers continued to call suggesting that someone at ECC was “redistributing” her resume – in violation of China’s privacy laws. In China this is no big deal although in other countries a law suit would be a certainty. But then we received information from a former CTA member and a former employee of ECC, and after some conversations we were allowed to listen in to a conversation with a current ECC employee that clearly indicated resumes sent in confidence were being sold to unscreened third parties. Basically if you offered to buy resumes from this ECC employee for $100 each, they would be yours the following day. Because foreigners get so many job offers from various recruiters, they would never make the connection six months from now when they start getting credit card bills for purchases they never made that it could have anything to do with their brief encounter with ECC. All of this was a bit overwhelming and in our judgement, indicative of a criminal mindset that George apparently assumes he can get away with anything because of his wealth and guan xi in China. Frankly, we believe that President Xi Jinping would probably disagree with the arrogant disregard for both China and International law and we are seeking his opinion om this matter through appropriate channels. Whether you feel confident sending YOUR resume to ECC is up to you. We can only recommend that you think twice and highly sanitize your resume or even use a fake first name. So when you start getting a dozen emails and twice as many calls asking for the alias you created, you will know the score. 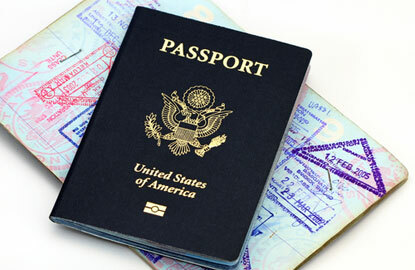 In closing we remind you that nobody but the direct employer needs a scan of your passport, your actual photographs, and your “taxpayer identification number” and you should only provide it when you meet the HR staffer face to face in their office after they have made you a verifiable written job offer. Anyone can claim to be an HR staff member of any school or university over the phone or email. If you cannot call that school or university directly at the phone number published at their published website and hear the same voice on the line, you are being hustled. Stay tuned for more updates as they develop and remember… TIC! 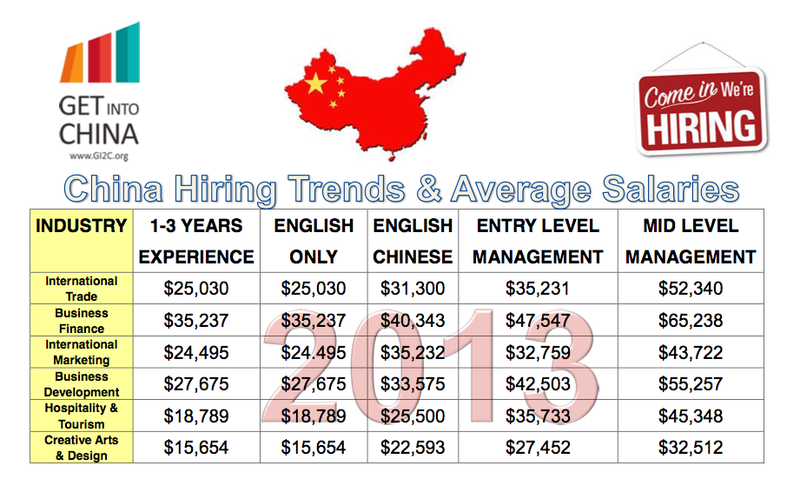 * ROUGHLY 300 OF ALMOST 20,000 CHINA SCHOOLS & “LEARNING CENTERS” EVEN ASK IF YOU HAVE A TEFL OR TESOL CERTIFICATE. Promises made but seldom delivered once a student pays his fees to the agents in China. 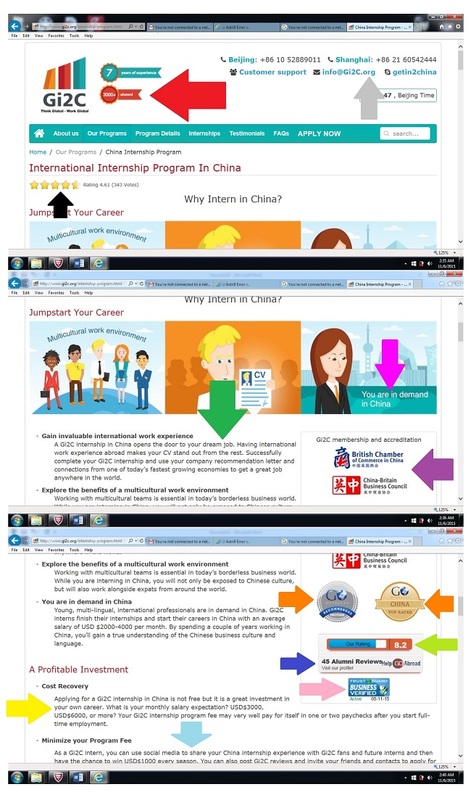 If you do not know how to find your own job in China contact the CFTU for a firect employers list. If you are a bit lazy and like the convenience of using a recruiter, at least send them this form letter before and insist that they complete every question BEFORE you even send them your resume. 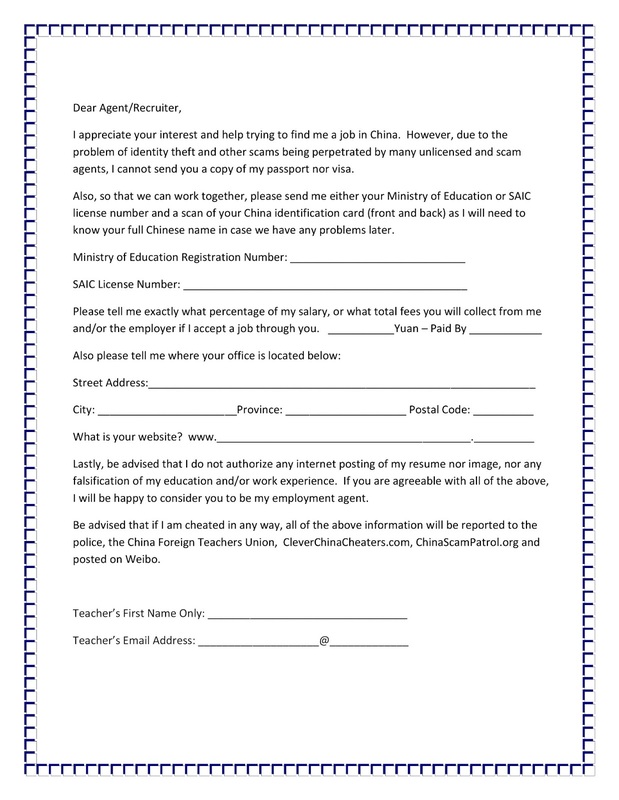 If they refuse to cooperate or leave any space blank, they clearly have something to hide and are probably blacklisted at http://www.ChinaForeignTeachersUnion.org So if you do not use the below form and you later get screwed out of 30%-50% of your salary, or the police arrest you for $10,000 of unpaid credit card debts, don’t say you were not warned. 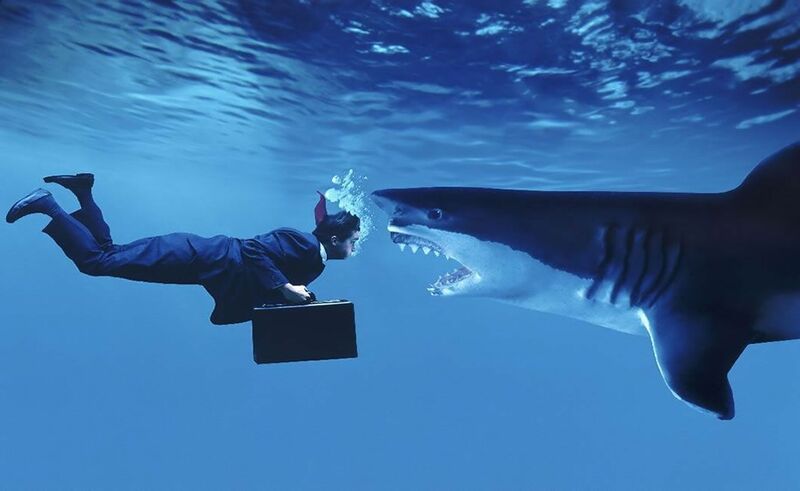 When you work in China as an expat, you are surely swimming with sharks that have an insatiable appetite. 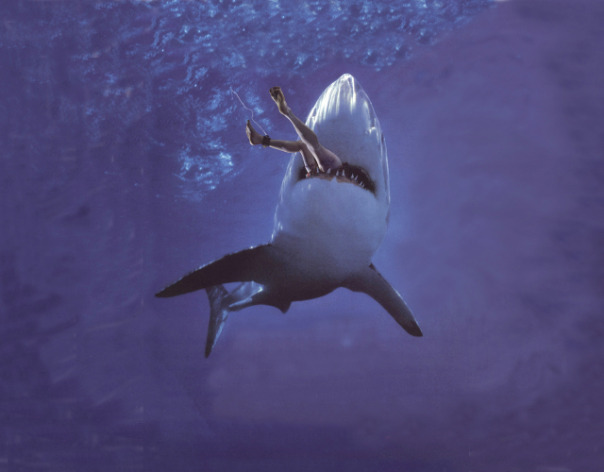 We try to starve these predators, but too many newbie ESL teachers keep feeding them. 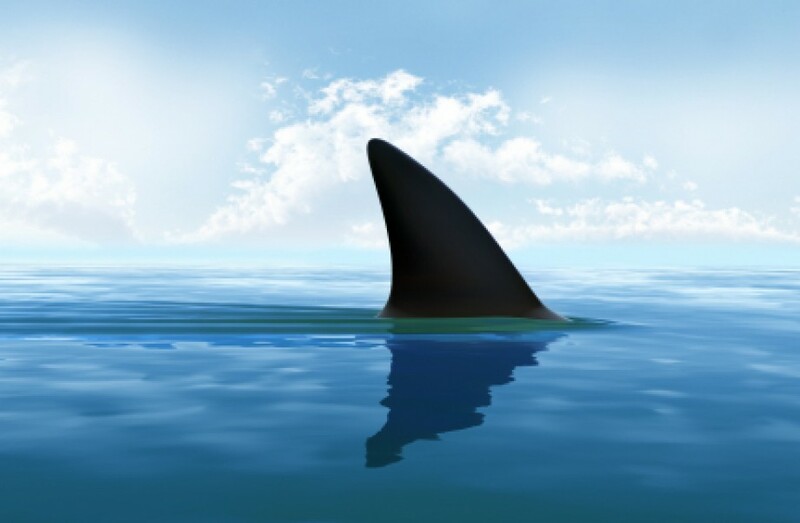 Don’t become a snack for the China sharks!